Medicinal plants have been in use since time immemorial and even today plant products find extensive use in household remedies, ethnomedicine, cosmetics and traditional systems of medicine. By a conservative estimate, an annual value of medicinal plants derived from developing countries is around 50 billion US$ and these plants are increasingly becoming popular world wide. In the World Bank Report of 1996 it is estimated that by the year 2050 AD the world trade in medicinal plants will touch 5 trillion US$ per year. In India as well as in many other developing countries, phyto-pharmaceuticals form an integral part of the national health care programmes. There has also been a global resurgence of interest in plant based drugs. But due to the lack of any suitable regulation governing the true identity and quality of herbs, many substitutes, adulterants as well as fake plants are being used in the national and international market thus bringing bad name to these traditional systems of medicine. With the rich biodiversity and heritage of using plant based drugs, India can have a sizeable share of this global market. The quality control for herbal drugs assumes great importance and it must start with the procurement of authenticated raw material. The first and foremost requirement is the botanical / herbal drugs of standard quality. Correct identification of botanical drugs would need reference standards. Therefore, a National Repository of such Botanical Drugs of Indian Systems of Medicine with an excellent herbarium having authentic voucher specimens need to be established. 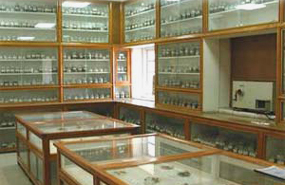 IIIM, Jammu is already having a well equipped Herbarium with more than 21,500 plant specimens with a major share of medicinal and aromatic plants, a herbal garden and a library with vast collection of literature on medicinal & aromatic plants and is actively engaged in research programme on herbal drug design and development. 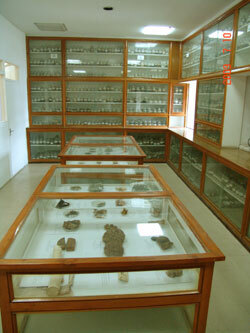 In addition to all these facilities, a well stocked herbal drug repository is in place. Presently in this repository, a total of 3,600 crude drug samples of authenticated parts of the plants, used as medicine, have been housed. The botanical drugs comprising, root, stem, leaves , flower, fruit, seed, root & rhizome, stem & leaves, fruit & seed, stem bark, root bark, heart wood, whole plant, whole plant without root, exudates, gum/resin, tuber and bulb, have been classified on the most scientific and modern lines. In the second phase it is proposed to digitalize the drug repository, how ever currently this referral facility is accessible to pharmaceutical industry, traders, medicinal practitioners, natural product chemists, students and academics.